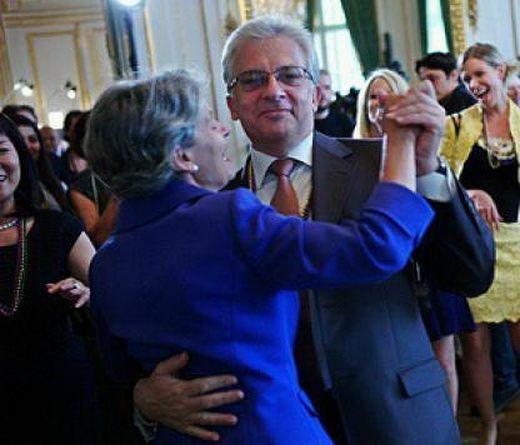 UNESCO’s former Director General, Bulgarian Irina Bokova, has given a “one-dollar contract” to Mauritian businessman Mohamed Ould Bouamatou, which secures for him a degree of diplomatic immunity, despite being on an Interpol “red list”, writes Britain’s Daily Mail, stressing that Bokova has signed the contract “against the advice of her senior aides”. “The businessman is accused of money-laundering, tax evasion and corruption in his West African home country… Mr Bouamatou is a major businessman from the West African state with shares in a leading bank, a telephone company and the national airline there. He is also a political opponent of the regime of President Mohamed Ould Abdel Aziz, his cousin. Last year the regime accused him of financing a group of senators who led a political revolt,” the Daily Mail reports. Bouamatou’s lawyer, William Bourdon, told the British daily that his client is innocent of all the charges that are politically motivated. In an earlier article, the Daily Mail portrayed Bokova, at that time a candidate to run the United Nations (UN) as “Putin’s darling”, and in the current one, it describes her “UNESCO’s controversial former director general”. Bivol reported earlier that Irina Bokova had signed a consultant contract with the Organization’s new Director-General, Audrey Azoulay, which guarantees her and her husband Kalin Miterv immunity and tax exemption. This is also a “one-dollar contract” because it does not provide remuneration but provides protection and privileges to a UN official, including for tax purposes. Therefore, Bokova is currently not required to declare income in France, where she resides permanently, including payments from the Russian chemical giant PhosAgro. She became a board member of the company after leaving the leadership position in UNESCO. Kalin Mitrev, on his part, made headlines over the “Azerbaijani Laundromat“, an international journalistic investigation into a large secret slush fund (USD 3 billion in taxpayers’ money) used by the Azerbaijani ruling elite to pay European politicians for luxury purchases, money laundering and personal gains of people close to the Baku regime. Mitrev has received in Swiss and Bulgarian bank accounts nearly EUR 400,000, but he claims that this money was legal pay for consultancy services. However, Bivol and its partners from the Organized Crime and Corruption Project (OCCRP) revealed that the company that had paid this amount to Mitrev had been managed by an impoverished local citizen and had never been involved in hydrological strategic planning, which Mitrev claims to have consulted. The Bulgarian Prosecutor’s Office launched an investigation into Mitrev’s case, but its progress is unknown. Mitrev, who is a former agent of the Communist secret services with the codename Simeonov, is a long-standing representative of Bulgaria to the European Bank for Reconstruction and Development (EBRD). In this capacity, he continues to enjoy diplomatic immunity given to him by the Bulgarian government. Bokova’s contract with UNESCO provides another level of protection, as UN diplomats’ privileges and protections extend to family members. Bivol also made revelations about the real estate properties of the family, who had acquired apartments in Paris, London and Manhattan for a total value of more than USD 4.7 million, while their declared income for the past 10 years totals about USD 2.7 million. Bulgarian Irina Bokova is considered one of the candidates for the Office of the United Nations High Commissioner for Human Rights (OHCHR) in Geneva that is to be decided in the coming weeks. This is reported by the Swiss TV RTS, which covers the Swiss candidate Nils Melzer. Diplomatic démarches by Bulgaria to officially back such a nomination of Irina Bokova have not been reported and are not known to date. Bivol’s diplomatic sources say that Bokova has in fact nominated herself and is campaigning at her own expense. Irina Bokova is the daughter of the infamous and sinister Communist leader Georgi Bokov, former editor-in-chief of the official newspaper of the Bulgarian Communist party, who had lauded and praised Stalin’s tyrannical regime and had hounded the regime’s opponents. Political scientist Alex Alexiev claims that Bokov has personally participated in the murder of his father – cartoonist Rayko Aleksiev. Already at the time when Bokova was running for director general of UNESCO, Bulgarian writer Iliya Troyanov, who lives in Germany, asked whether if Goebbels’ daughter had run for such a post, this would have been met without indignation by the international human rights community.